A mystery ingredient in food & fuel is directly linked to the likely extinction of our closest animal relative, orang-utan. The world is addicted to palm oil, an ingredient in 40% of consumer products. The orangutan, our closest relative in the animal kingdom, is facing imminent extinction as a result – along with Indonesia’s rainforest, a major threat in the world’s climate crisis. As Indonesia risks losing 98% of its forests in 10 years, a daring bunch of grassroots activists, innovators & non-conformists have emerged to fight for orangutan habitat, expose corruption & wrongdoing & win hearts and minds. With an undefeatable spirit they might be orangutan's last hope for survival. In this story of triumph & courage against great odds, all is not lost, & incredible heroes are emerging. Sandra Leuba has great dedication and passion for filmmaking. Her previous producing credits include "Shadows Of The Gold Kroma”, "The Seven Lively Arts" & "The House That Beer Built" (2010). Leuba’s organizational, management & marketing skills from her previous success in the Swiss & Canadian financial industries leads projects through various logistical challenges. 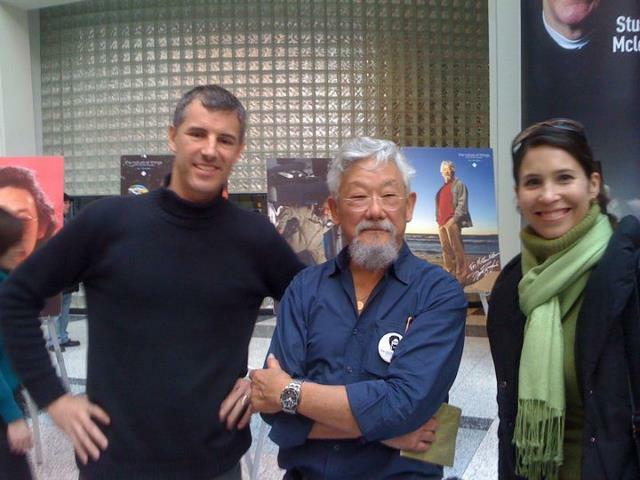 Mark Bochsler is a Canadian documentary filmmaker and cameraman with over two decades of industry experience. His international work includes "Shadows of the Gold Kroma" and "Orangutan Guerillas" and Canadian projects "Paper Promises", and "At Home By Myself... With You" screened at the 2010 Cannes Festival. He is a regular cameraman with CBC The National & Marketplace. Documentary movies are good if the topic hits home, and I think that linking the possible extinction of our closest relative is a good idea to get people to take notice that this really affects us as humans too. The time is ripe for these anti over processed food crusades too. 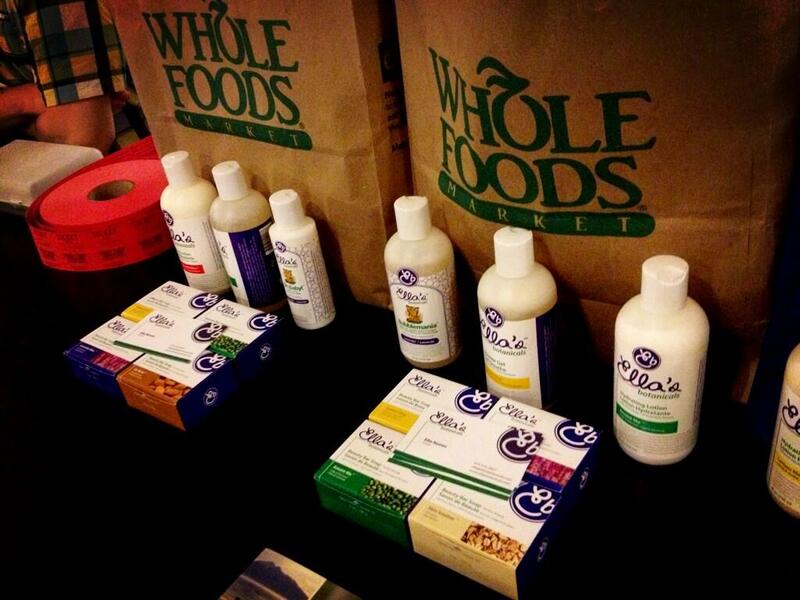 We are receptive to healthier alternatives, and aware of how our choices make an impact on the world. You have peaked my interested in a subject, I had no previous knowledge of. The voice of Morgan Freeman would be awesome in this one! I think this is an important and worthy topic, and it seems to be a well-prepared documentary. I was under the impression that we shared more genetic relation with chimpanzees than orangutans, but regardless, nice work. Wow, a story that needs to be told, I know that I had no idea about the palm oil connection. Educational. Interested in learning more. I am a sucker for any documentary about animals. No matter what, this should be shown on Animal Planet. A film with a conscience... nice to see. Watched it and it's marketable. Again, makes one think how stupid we are. Sure makes you think about what we are doing to this worlds other inhabitants, what have the Orangutans ever done to us. Shame..
Looks interesting and necessary. Commendable work! Something needs to be done to protect these beautiful creatures. Educating the public is one way to start. Thank you for caring so much and putting an incredible amount of energy into sharing this story with the world. Everyone needs to know! This definitely catches my interest. Good luck raising awareness. Informative but this isn't the kind of project that should be pitched to Cinecoup. maybe try pitching this to National Geographic or discovery channel for funding. There is a documentry coming out in theatre in late 2013 about monkeys and I'm not a fan of documentries they tend to get really boring. Wow this is awesome! Really powerful message, love it. As much as I love the message you're trying to get across I don't know if this is a movie people would go to the theatres to watch but I do think it's something that should be made. So great to get this message out there. A story that definitely needs to be told. Just from your trailer I already learned something and want to learn more about what the solution is that you alluded to. A film that actually has something important to say! This is a good cause, but I am not sure that this type of work is for the big screen. Probably the most important film in this competition although one wonders why they can't get funding elsewhere. A real important project. It has purpose beyond entertainment. Love. Make this. Throw cash at it. Save the gingers. Nicely produced. Looks like you have been shooting this project for a while already. Good luck. Hope you can make this doc. Great story. Needs to be told. You are doing a great job with this. This project adresses a very important issue. I wonder if the movie also makes a link between climate change, deforestation and the impact on biodiversity/ animal habitat . Great camera work it's just there already is a documentary on monkeys in the theatre so I don't know if I would watch and personally not a huge fan of documentaries all the cast and crew did more than amazing job though. Excellent preview: gives me enough info to know what the documentary is about and to care about it. I found the initial text floating in difficult to read in the time it was on screen. My eyes did adjust but I missed the first few and had to go back. I would miss that opportunity in the theatre. A story with not enough attention. Good job. 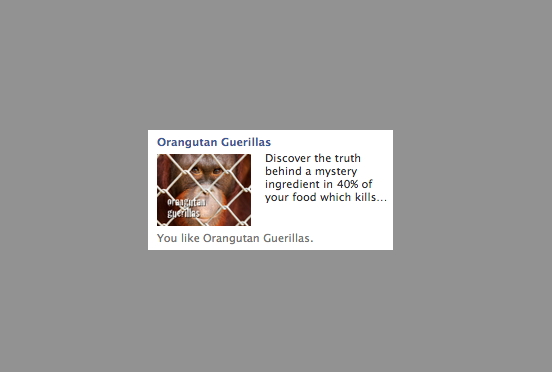 I Love Orang-utans! This movie trailer sends an important message about consumerism and the reality that organ-utans face if we do not act fast. I agree with the comment below regarding the validity of the information. I'm a geneticist and have studied the relation between various chimps or monkeys. While some scientists are certainly arguing that orangutans are our closest relatives, there are not founded studies, and most evidence still leads to bonobos being our closest relatives. If you are stating this as a fact, you're misleading your viewers. Please get your facts straight if you're making a documentary. Very interesting concept but I'm a little disturbed by the facts advertised in this trailer. Orangutans are NOT our closest genetic relative, but rather bonobo chimpanzees are, as discovered several years ago. If this very commonly known fact is omitted in this film, what other information (in a documentary, of all things), is false? While I think the goal of this project seems worthwhile, its value is lost if the information is wrong. Also, there are grammar mistake in the text. I expect more from serious documentary filmmakers. Not sure if I would watch this, but still pretty cool. 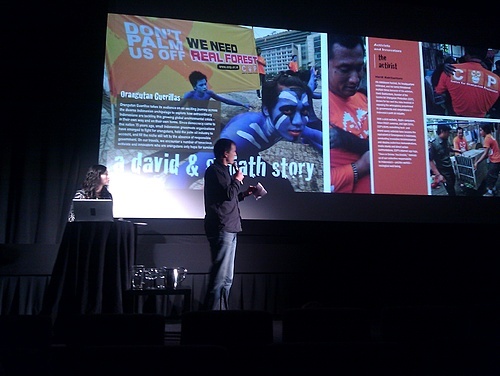 This trailer shows a film that connects the dots between the blind consumption of products in the west and deforestation in Borneo and its deleterious results. We cannot continue to be ignorant about the devastating effect our food choices have on the survival of species like the orangutan. 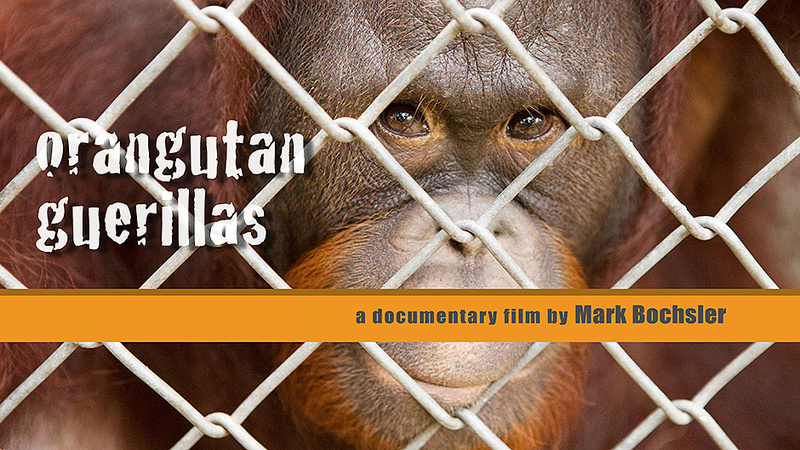 This film gives a voice to the orangutans and those who endeavour to help them. Media's most important use is to move, to inform, to rally to action. This project looks like a well produced worthy effort. I didn't know it untile watched the film. I saw a TED talk on this issue and I would love to see this documentary. would love to see this theatres! I really like what I've seen so far. The cover pic of his film is touching -- because once one looks into the eyes of a primate, and makes that connection, the experience is never forgotten. I find the subject matter quite intriguing! I watched your speechless mission this week and wanted to see more. This looks really interesting, and it is beautifully shot. When you make this film, could you slow down the text (quotes and such)? Some were a little quick to read and process along with the images. This film needs to get made! Thank you for doing this! 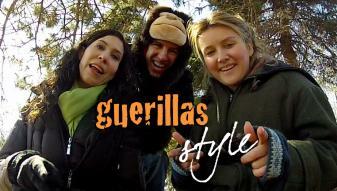 loved this, anything about wild life captures my attention, and this was very well done, goodwork! Would like to see more documentaries like this, educating us all before we destroy everything that is truly beautiful! Good work getting this story some profile! This is a doc about an environmental issue that I feel is important and therefore close to my heart. Seeing Indonesia and hearing the story about the palm oil in our products definitely appeals to me and deserves a wider audience. The team putting this together seem interesting and engaging and make the story relateable. I am especially fond of the camera work - there's some really beautiful and heart-wrenching images captured which serve as an excellent backdrop for the orangutans' story. 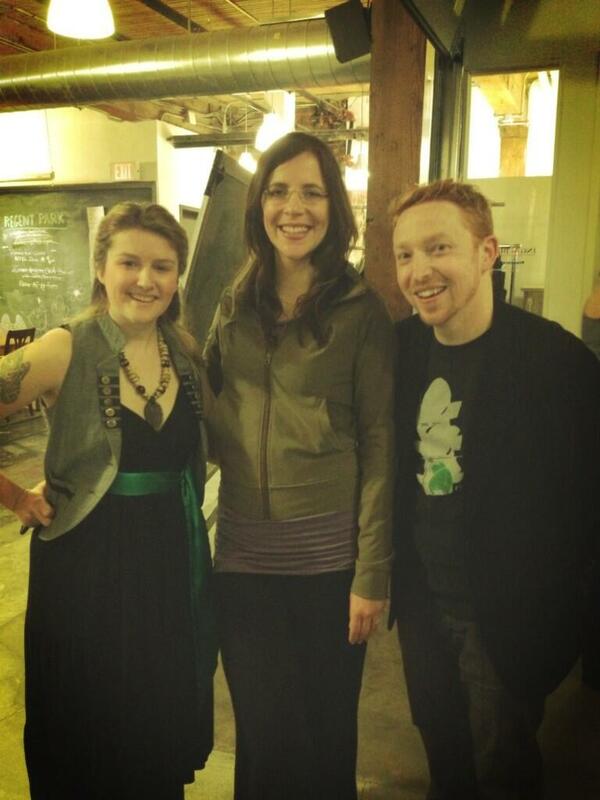 Great to see a documentary here at CineCoup. Interesting subject matter and something I would watch. MIght be better suited for television. I thought this was suppose to be a film not a documentary! Not to diminish the cause because it is worth while! I am interested so I plan to follow. Excellent effort to show concern for our fragile environment . This is a must produce!!!. Count me in!. These messages need to get to the world. It's almost too late. Awsome. Heartbreaking. Hopeful. Everyone has to see this film. A worthwhile project, thank you for bringing this to people's attention. good luck. An interesting issue I pervious knew nothing about. Thanks for bringing it to light! I am glad your film offers some hope to its audience. This is such an important message..it needs to be out there. Good Luck guys....Have you thought of approaching National Geographic Society ?? I want to see this film get made! Great story and it's something that needs to get made. Good work guys! I thought this was fantastically well done and could see something like this easily making it onto National Geographic or another station of the likes. Be careful to watch your spelling and grammar on subtitles, on a production as high quality as this, errors such as "illeagally" really stand out as everything else is so well done. Otherwise, great job! Thank you so much for making this documentary! The only way to stop the deforestation of the Orangutang's natural habitat is to take away the economic incentive for people to do so, and that means stopping the demand for that product. This is a vital forst step in that process. People are part of the problem and people are part of the solution. AMEN! It is very important that we understand how our choices affect the world. We must support film makers who expose the devastating consequences that are a result of our addiction to certain consumer products. I've always liked apes. Seems like a lot of work has already gone into this project. Great subject, excellent footage already! Very compelling...get this film done under any circumstances!! Such an important issue. Great trailer. I'd love to see this. Incredible work - it fills my heart that you're the voice. Great Message! Glad you're taking the initiative to tell this story! Very intriguing. I'll be watching this one for sure. The world needs more films like this!! How much do we need palm oil? How are we killing orangutans for the oil? 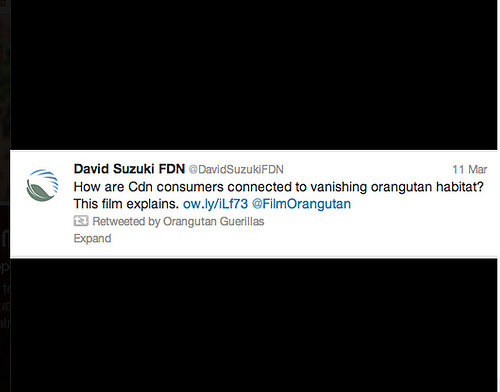 We should know, and this movie is the message from orangutans. This is an important message that needs to get out....Good luck with it! There's an important story here.I hope that you guys can flesh it out into a full-length feature. I like the documentary but I'm not sure that it will work as a feature film, It might so I'm rating it high. People NEED to see this!!! 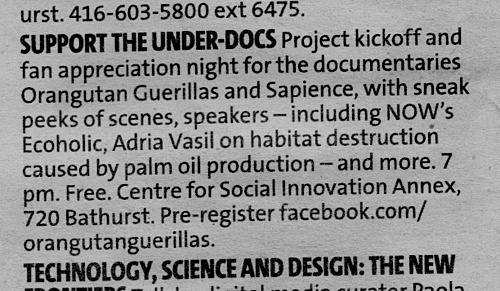 The subject doesn't really pique my interest and I'd rather not have a documentary win Cinecoup. I love orangutans!!! I really hope you guys get the word out!! I hope either way, the message in your film gets out there. It is unfortunate the amount of ratings below are based people dismissing the subject as " not important enough". Best of luck! This is definitely something I'd watch. I also know it's super hard to get Docs of the ground these days. This movie needs to be seen. Its got guts. Looks great. I honestly like what you're doing.....I just feel that this documentary is too ordinary. Why not too something unique and extraordinary to set yourselves apart? Like when the guys from The Cove set up hidden cameras and exposed the atrocities for the first time on film. Hope you make this no matter what happens here. I like the effort to raise awareness. I applaud your effort to put a spotlight on the subject you're tackling! 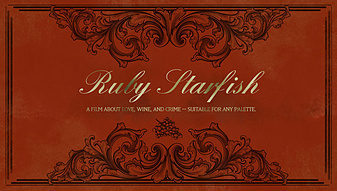 Love the trailer, storyline and I believe this is a documentary with substance! This is a great trailer and really important story that needs to be told to the world! I am SO in love with the passion behind this project. I am so glad that you have submitted this trailer. If nothing else, it raises awareness. Thank you. so so much. I think the more people who know about this film, the better! Congratulations, Mark Bochsler. I hope Canadians will have the opportunity to see your film in theatres. People are the problem. Greed is the problem. I'm not a fan of sub-titles. I can see many films similar to this one on the Discovery Channel or National Geographic channel. I wouldn't go to the theatre to see it. This cause is so close to my heart. I have worked as an Interpreter in Parks and Zoo's over the years and Palm Oil is brutalizing Thailand (and other rainforest) and one of the most interesting of the great apes. 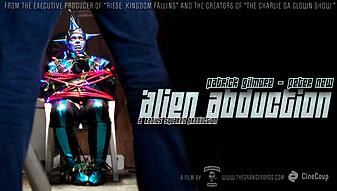 I think this should be made into a film, I just wish cinecoup was the right platform for this type of doc. Everything you want in a movie, this is not just sheer entertainment, although the cinematography is incredible and the story absolutely riveting, one is transported to the other side of the planet to witness a travesty that will ultimately affect all of our lives. This movie is the ultimate good deed unto planet earth- to raise awareness that can directly change the diabolical course these madmen are on! Kudos to these brave people for taking a chance in spite of the odds to get this story out there. As society wakes up to the condition of the planet, with more questions than answers, this movie promises to deliver a viable solution that can affect us all by a simple solution- greed is surely destroying our planet- it is time to stand up and do something- this movie is a huge step in that direction- I have to give it the highest mark! So sad that man's greed leads to the extinction of amazing creatures like this. 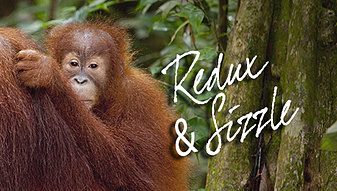 I had no idea things were this dire for orangutans. This powerful story makes me think how small things in our daily life badly affect our natural resources in the far away places. Hope to have a chance to see the whole movie. Important issue worth a compelling documentary! Wow! This looks really fantastic. Win or lose, I hope you get the chance to make this the way you want to. Excellent work! interesting idea. love the title. great project, following in the footsteps of Shark Water. An incredibly important issue that must be shared! Great subject, I hope your film makes a big difference. This really resonates with me, has a lot of impact. I can see this in a bigger scale. A story that needs to be heard! Go for it....I like smart docs!!! Important movie. Hope it gets made. An incredibly important issue that needs to be exposed to a worldwide audience! 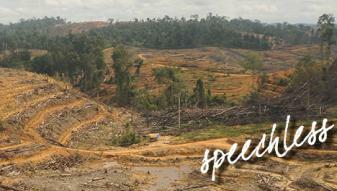 Most people have no idea of the damage being done by the palm oil industry. Hopefully by learning about the courageous people working to help the orangutans and their rainforest habitat, folks will sit up, take notice and act! This is a topic I find very affecting and feel there can never be too much attention brought to it. I'd like to see something like this on Animal Planet or picked up by a news network. My only quibble is that orangs aren't humans' closest relative, that would be chimps. But it's a minor quibble. I never thought any further about palm oil other than seeing it on ingredient lists. How can this possibly be sustainable? Regardless of what happens in the competition, this film needs to get made! You guys obviously know what you are doing and the film has the potential to be a great one with a great impact! Looks great. Well Made. I hope a narrative film wins the competition but I'm also hoping this gets a development deal. Excited to see how your team develops this story! Wow, this looks amazing. Stunning! This looks like a vital and important film! This one needs to be made, and in fact looks like it already has! The title is fantastic as well. Very nice job! Very slick production but it feels like the project is already completed. Very interesting and insightful. Thanks for sharing this. You guys should keep raising awareness. Good work! A moving and mind-blowing wake-up call. We all need to know this story. Beautiful imagery and terrrific story. 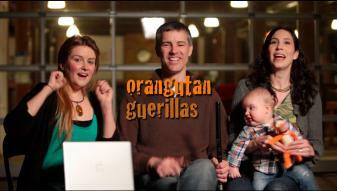 I was confused by the title since the trailer seemed more about the people than the orangutans. Feels like your main story is about the palm oil industry and those activists working against it. One of the bios also listed this very film so it seems it's already been made. Perhaps you're turning a short into a feature. Regardless, worthwhile powerful stuff. This looks very polished and very insightful. Personally wouldn't pay to see in a theatre, but would definitely give discovery channel a couple hours of my time for this. Good job guys. Would rate higher but it looks like its already completed, and doesn't need the budget. I am 100% behind any project that will help spread the word about the destruction of the rainforest and its effects on the Orangutans and other animals that live there. It is so important to have stories like this out there! What can I say... I'm in this competition, But I have to say WOW! Strong work guys! This Looks Great! Wild life is so important and I will always support work that raises awareness about this subject! The documentary looks interesting. What is happening in this film is a REAL drama that is worth talking about. It is a subject that matters, unlike silly reality tv shows. I hope a project like this one gets made! Good job. We're looking forward to this film being made. Filming in Indonesia is risky and restrictive given the content of this film and its potential to affect a nation's economy. Kudos to the filmmakers for an extensive self-funded research and development phase which required flying under the radar and watching their backs. Broadcasters don't want ideas, they want evidence. Hats off too, to the film's characters who are sticking their necks out because they believe in the filmmakers' ability to tell their story and bring global attention to their efforts. I LOVE the message behind this documentary! Documentaries definitely need more screen time. Looks good, but it seems like it has already been shot. I'd rather watch it on Netflix than in theaters too. Great trailer, but I would rather see this on Netflix or online for free than in the theaters. looks like a great documentary....and i hate documentaries. but also looks like you've already completed it (you've already flown to indonesia and interviewed all those people) Sorry, but dont feel it belongs in this competition. A great trailer. Very professional. Has everything that is necessary in a documentary. It brings attention to a cause that is not well known. In addition, it makes you think when you buy groceries the impact that it has on a species many Km away. From an artistic point of view, the photography and editing are top-notch. You could show this documentary on "60 Minutes" and it would not look out of place. So moving. So very important. I wish you all the best. I hope others support your noble effort to get this film seen by as many people as possible. Great message, cinematography needs support. Good luck! Well done and very compelling. I look forward to watching this documentary. I think this is a very important issue that few people know about! This film is so important to bring this issue into the limelight! I hope this doc gets made but not sure how it has a Canadian connection. Made me sad...But great job, guys! This is a great cause. I think this contest will help raise awareness and I hope you guys can make this a very popular documentary. 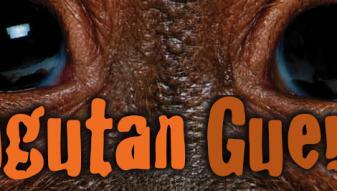 Great documentary, really pulling the heartstrings... save those orangutans!! Looks like a great film with a message. 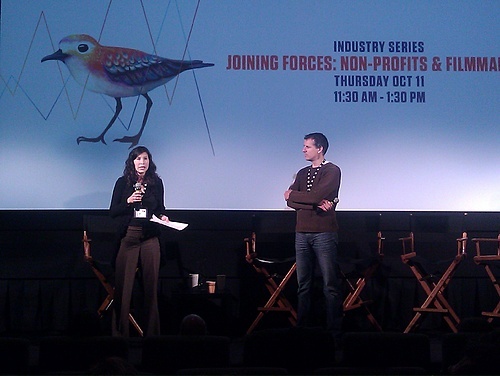 A really important topic, and it looks like these filmmakers have a great story to go with it. I can't wait to see how this project unfolds. Really? I think there are plenty of more pressing concerns right here at home to worry about. A very well done movie! I would much prefer watching films with this kind of content then any other film that is currently trending / popular on Cinecoup. This competition will eventually have its' winner. I feel that the winning project will not only simply be "a film", but also be a representative of Canadian cinema, and of the Canadian mindset. If Canadian cinema is to be taken seriously, then the films that we produce and watch, should be films that are profound and have something to say instead of feeding into the idea that "we" only make comedies. I believe this project deserves more attention than they are getting. The message in this trailer is one everyone needs to hear more about. Hopefully people will be inspired to do something about this sad sad and true story. Good concept, love to see this made instead of the other crappy trailers. very important awareness creating movie! Incredible footage. I felt that I was in the rain forest. This is a real eye opener. Can't wait for the release. Fascinating and disturbing. Really worth pursuing. Good job! It's such a great cause and could be quite controversial. The perfect combination for a great film project! This is a topic that so desperately needs to get out there. Bravo for pursuing this and wishing it the best of luck! 5-7 years???!! This is an urgent topic to explore, and if the trailer is any indication, the film looks to be excellent!! A must see for everyone because we should all care! Bringing to light what we do everyday and how we live affects our planet here and on the other side of the world! What an important story. This doc must be made! Wow, this is eye opening. More people need to see this. Brilliant! Very well shot. Juxtaposing the utter selfishness of humanity with the unselfish courage of a few brave activists. A brilliant video explaining how bad the situation is in Borneo Indonesia. We have to help them to stop this atrocity. before it's too late. It may be already. Orangutans are part of our eco-system. As well as these magnificent beasts dying in thousands, many other species are also losing their habitat on account of Palm Oil plantations. Go for it. The orangutans need it as do we humans. I'd love to watch the story when it finishes final production! The public needs to know more about where their food is coming from and the implications of growing anything on a mass scale. I look forward (with a heavy heart) to seeing the rest of this story. Great work great trailer can't wait to see the entire film.... Anything that raises our awareness and opens our eyes is to be commended well done ...... Read your labels peeps supply and demand..... STOP BUYING!!!! Really cool subject. Good job guys! 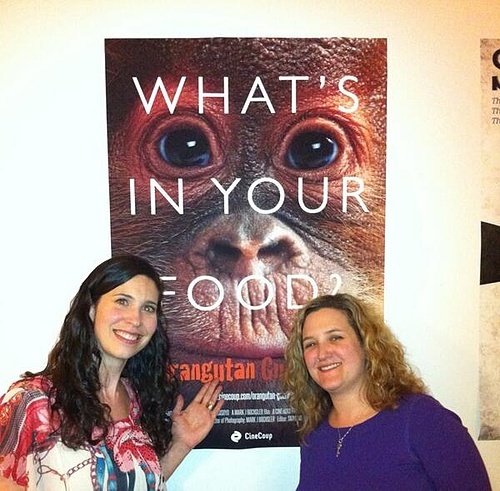 The story of palm oil and its massive impact on the orangutans must be told!! Awareness especially among Americans and Canadians is sadly very low and this has to change! The information contained in this documentary is at a critical moment of awareness! It must be to,d as soon as possible to stop the extinction of the Orangutan, to stop the destruction of the Rain forest, to stop the buying of products that support this destruction, and to start educating the public to steer away from these practices! This is a story that needs to be told of the new oil rush that is destroying the oldest rainforest on Earth in Indonesia. 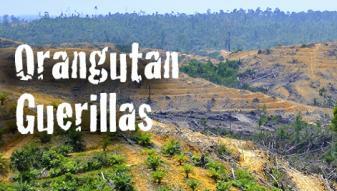 It's time the world knows about palm oil. GREAT story, very interesting, would love to see more. Excellent Trailer, I can see exactly what the Film is about, and it looks very professional and I can't wait to see it. 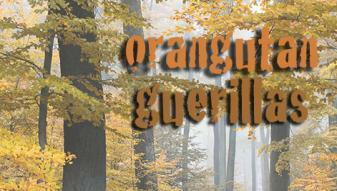 Who doesn't love orangutans? This could be a real heart-wrencher. One criticism - spelling mistakes in your trailer just look unprofessional. Get someone to proof next time. 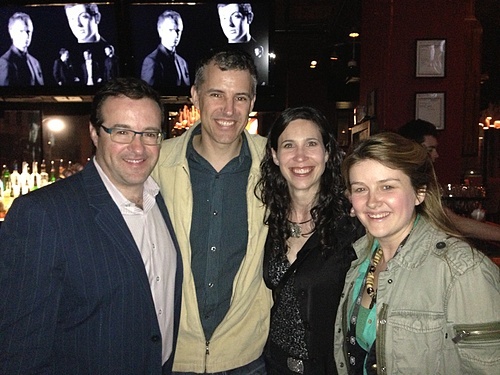 CineCoup Top 15 Finalist Party!! PLANET IN FOCUS FF. Green Pitch 2012! !